The electrifying new one or two player game in which the players match thier skill and wits in defense of the planet Earth, against waves of attacking invaders from outer space. The player must strategically position, then fire his laser missile launcher attempting to knock out the ever-attacking invaders before they can drop missiles destroying the defender's protective bunkers and missile launcher. Two players play alternately for high scores and extended play time. 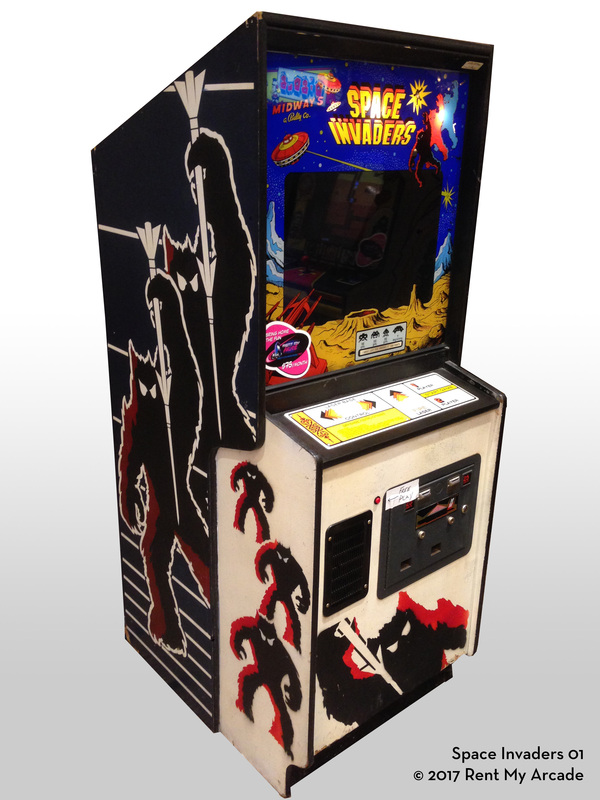 Space Invaders offers titlating sounds, dramatic play action and inviting cabinet graphics creating player appearl and high income. H: 68", W: 26.5", D: 34"